I can truthfully say I think this year’s NFAS National Championships was probably the toughest I’ve shot over the last few years. Not due to poor weather, but simply the demands of the course and terrain. I also think that the weeks of practice shooting 80-120 arrows every other day built up my stamina and helped me cope with shooting so many arrows over 2 days. If you are interested you can check out a review of last year’s championships here. The location of the championships was stunning, with it taking place on the banks of Windermere lake in the Lake District, which we were able to enjoy in fine dry weather. 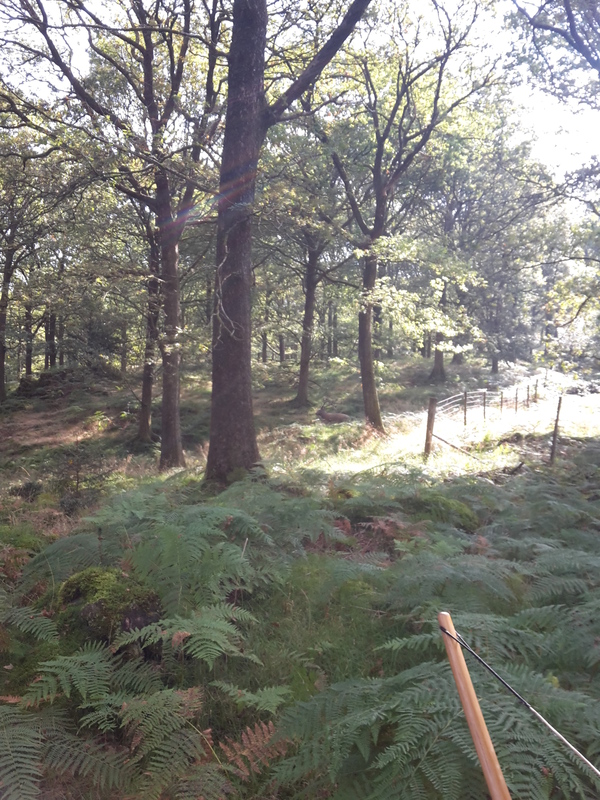 Yes, dry weather in September in the Lake District, we were shocked too. 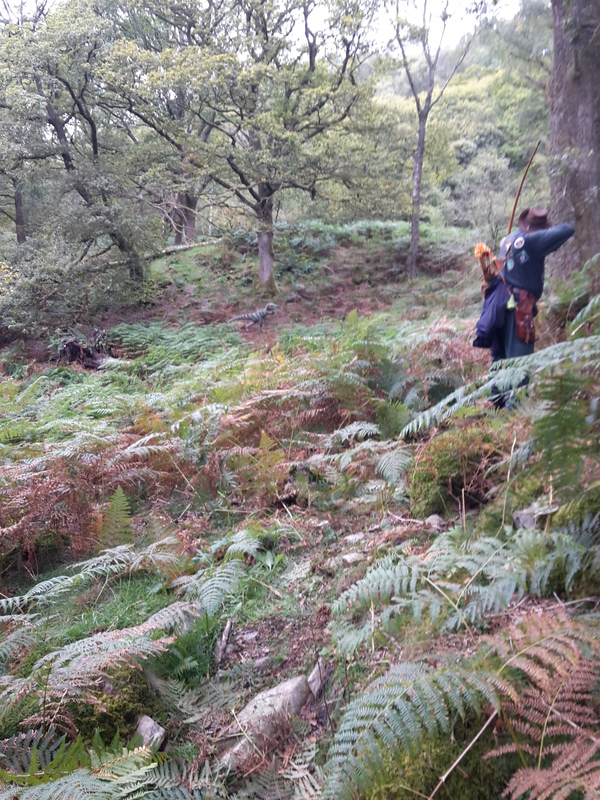 The location offered some stunning views as we headed up and down the slopes and through beautiful mature oak woodlands of the Graithwaite estate. Sharon and I had decided not to camp this year and Sharon had managed to book a two bedroom apartment in Near Sawrey which proved an excellent find with a fabulous local pub 200 yards away. This accommodation we would share with fellow SVYF member Steve. Having been able to get the Friday off work we headed up the motorway Friday morning meeting Stephen at the apartment shortly after 2 pm. We unloaded the cars and popped down to the camp site and venue to check we knew the route down the country lanes for the following day. As it was our accommodation was about 10-15 minutes drive from the venue. 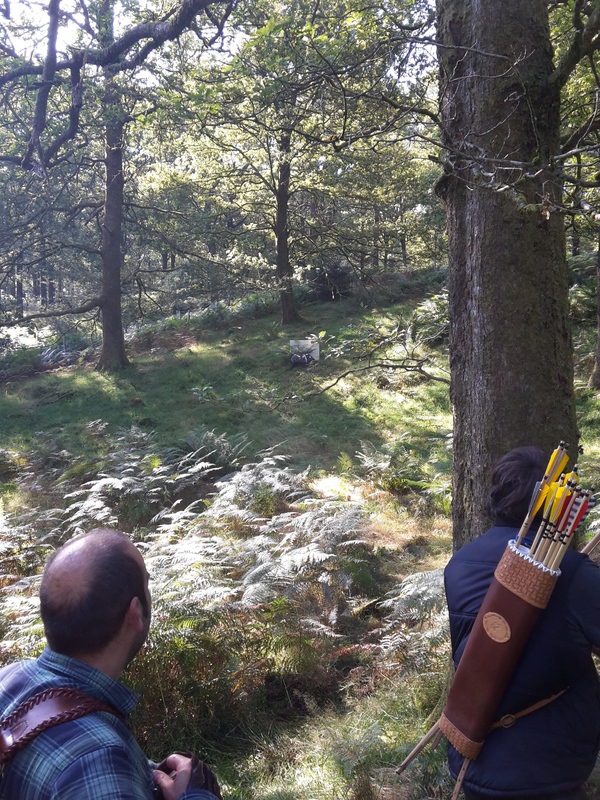 This years Nationals would see 400 archers spread over two courses, the courses having been set by Lakeland (B) and Kendal (A) clubs. Traditionally the nationals had been solely paper faces but a couple of years ago they started to introduce a few 3d targets. This year would see over a quarter of the 40 targets being 3d targets. This year they imposed a time limit of 8 hours, stating all archers had to stop shooting after 8 hours from the start, even if they hadn’t shot all the targets. I’m going to make a few general observations. 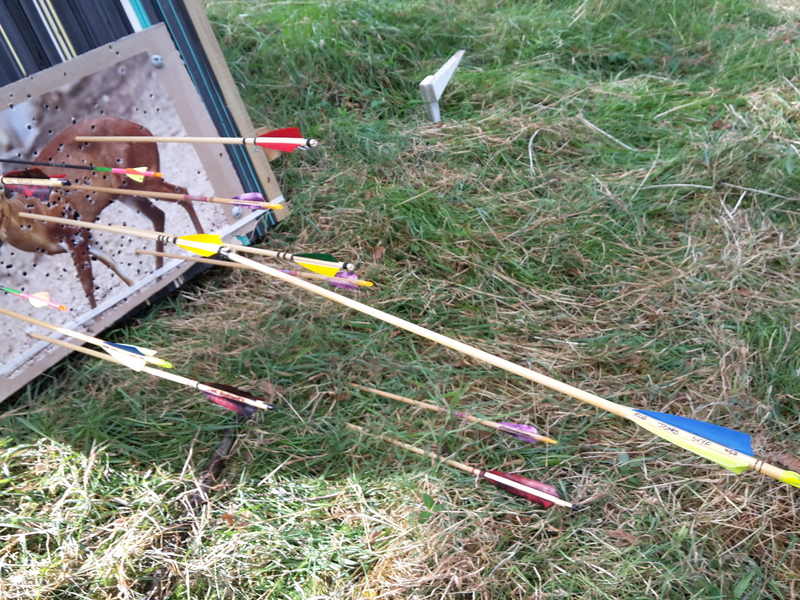 Peg positions varied and I know a few archers have commented on this. By all means make the red challenging, but please ensure that other pegs are at reasonable distances especially for juniors. It is my view that some targets were at their maximum range, possibly even beyond. You don’t have to stretch shots just because it is a championships, especially with the quality of the grounds the championships was on. The challenge is in what you score not whether you score. When you have a long shot and then put a face which may have a large scoring kill zone but wound lines are unforgiving I personally don’t think it is fair. It slows down the day as archers are forced to take three arrows. There was some discussion on some new target faces produced by ProKill (http://prokill24.com/), which people hadn’t seen before. The problem with them was they had been stapled to the card rather than glued which meant the face was pulled off when arrows were extracted. That meant they were only used on the first day. I hope to write a review of these faces in the near future. We must give top marks to the catering van that was providing food on the camp site and relocated during the day to provide food for A course. The guys were fantastic starting serving at 7 and going on into the evening. They also have a very cool Star Wars themed catering van. 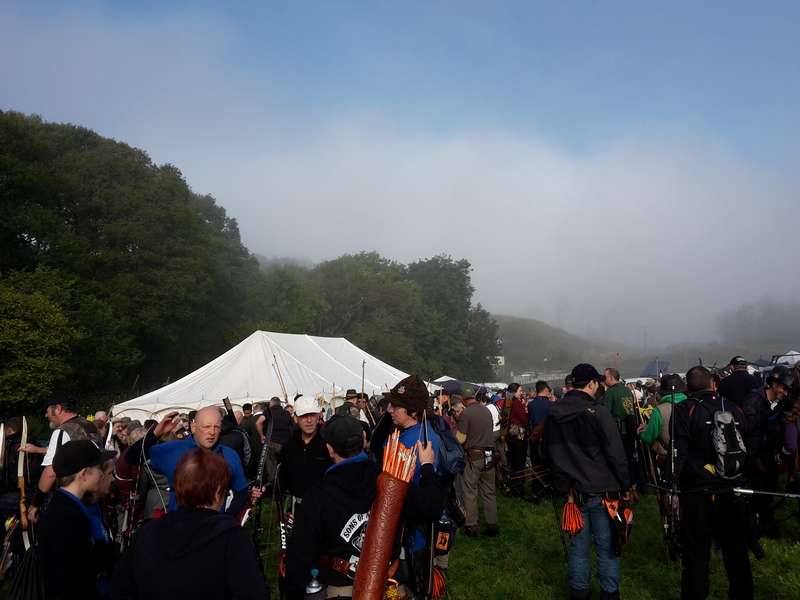 The weather, initially misty, soon turned into a beautiful autumnal day of no breeze and bright sunshine.We were on site shortly after 7:30 am with registration opening at 8 am.The shoot starting just after 10. 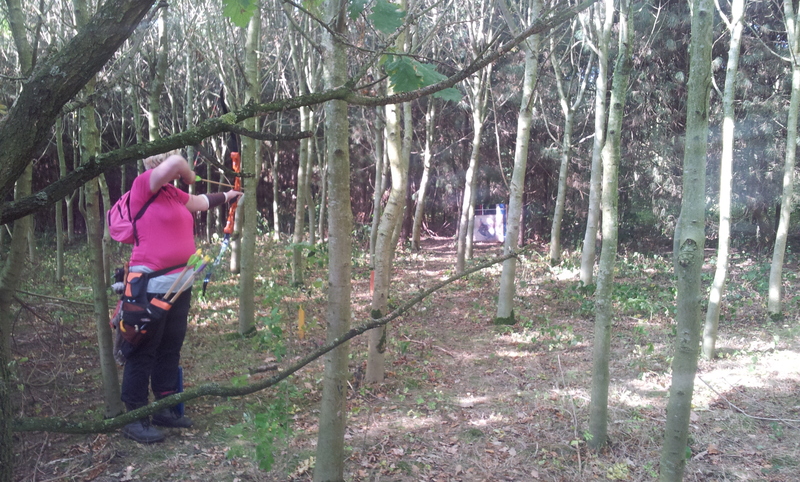 Day one would see me shooting A course, set by Kendal Archery Club and Sharon would be on B course. With only two courses the groups would be of mixed styles. 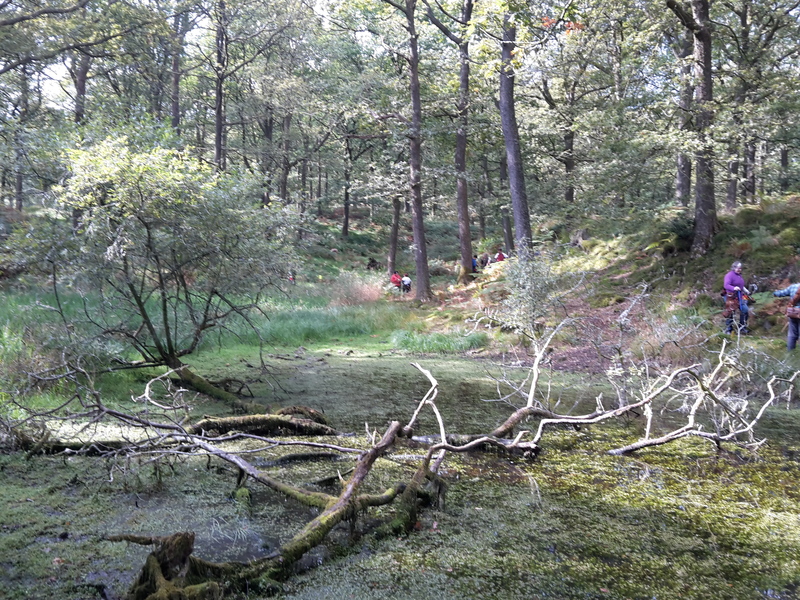 A course was located nearest admin so was a short walk. 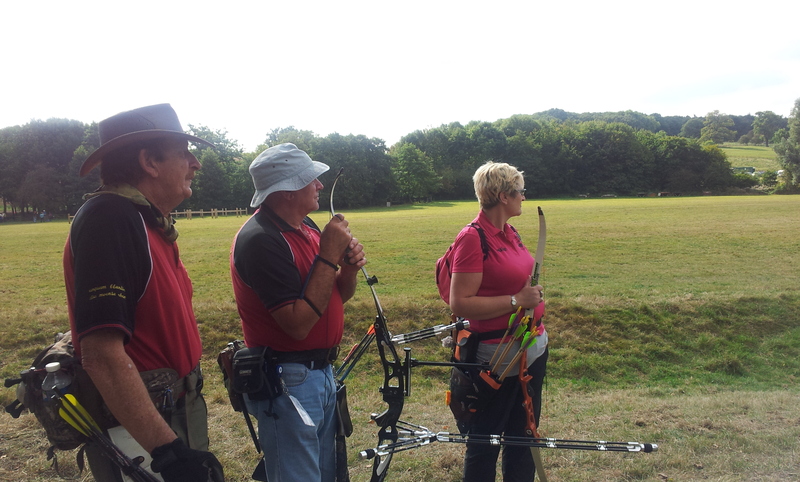 The group would be Helen shooting compound, Sandra who I’d shot with at the 3d championships this year shooting longbow, Lionel and another Rob, both shooting primitive. We started on target 24 which was a longish paper face small deer. One beautifully set shot was a long shot on a bedded 3D elk, that looked fantastic. 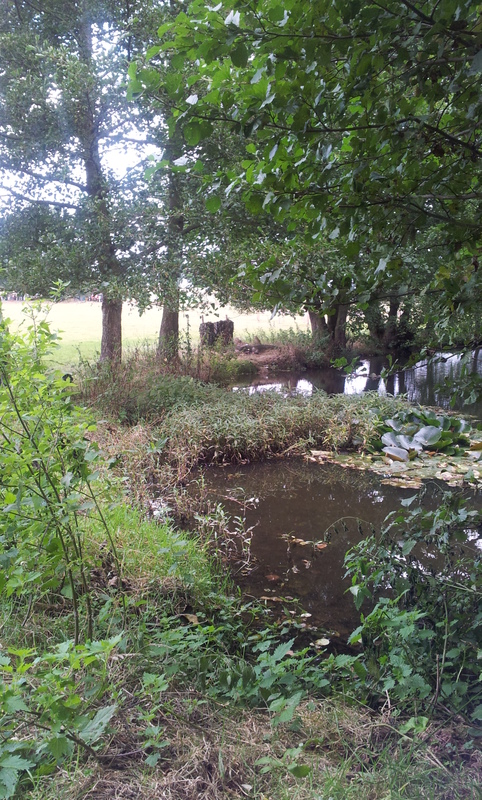 Another was a shot across a small pond to a 3d crocodile. 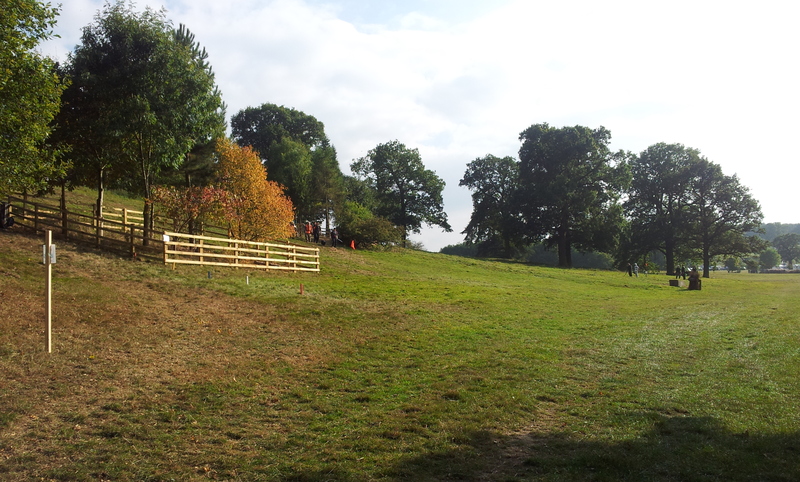 I think it is fair to say A course felt as though it had been set by two teams. Targets 1-20 proved slower and longer distances, with several waits or hold ups on the peg. Whilst 20-40 flowed well, the only holdup being the long bedded deer , which both looked great and was a technical shot. The worst delays of the day were at a downhill skinny turkey followed by an uphill paper face wolf. We were waiting 10-15 minutes to shoot the turkey and another 20 minutes on the wolf, while we waited for the groups in front to shoot. These delays broke up the flow of the day noticeably in those 20 targets and I think we had two clear targets in those 20. We were off course by about 4:30 and headed back to the apartment and then to a local pub for food and then an early night. Sunday morning dawned a little cooler than Saturday with a slight breeze. Again we were on site from about 7:30 am for a breakfast roll and registration. The scores and placing from the first day were posted at administration tent. Sharon was in a slim lead in ladies hunting tackle and somehow I was in second in American flatbow. It is a weird feeling having so many people congratulate you on placing when you felt you hadn’t shot well. Unlike A course, B course would see us having a mile walkout to the assembly point. 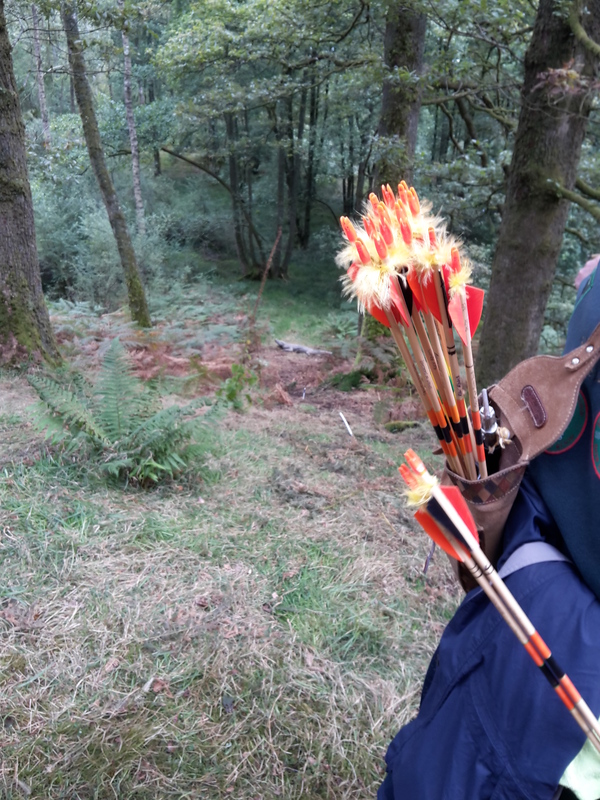 I would start on peg 4 an uphill paper face leopard, my group comprising of 2 compound archers Dave and Alan, along with Ken Adams shooting longbow. We were also joined by Joan Adams who wasn’t shooting this year. 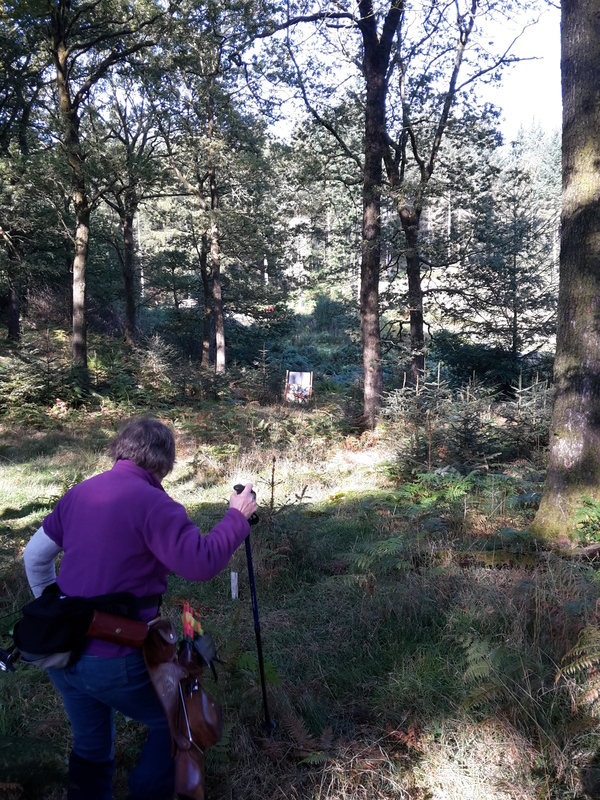 I didn’t feel Sunday flowed well with a few hold ups whilst we waited for the group or groups in front to shoot the target. On one target there was over 30 minutes while we waited with other groups to shoot a long paper face moose. 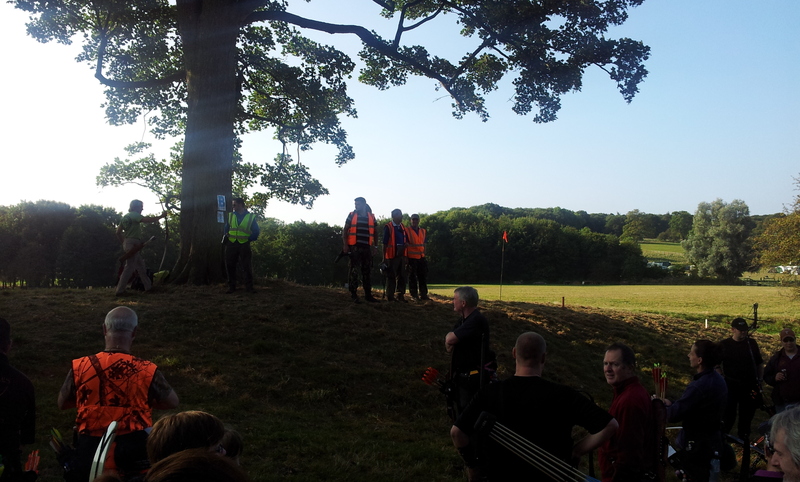 One thing Lakeland did was have a marshal checking arrows whilst archers were on course to make sure the arrows were correctly marked. I knew I’d not shot well on Sunday and think I can put that down to a loss of confidence. I broke one arrow quite early on and a second a couple of targets later and I think this got into my head. 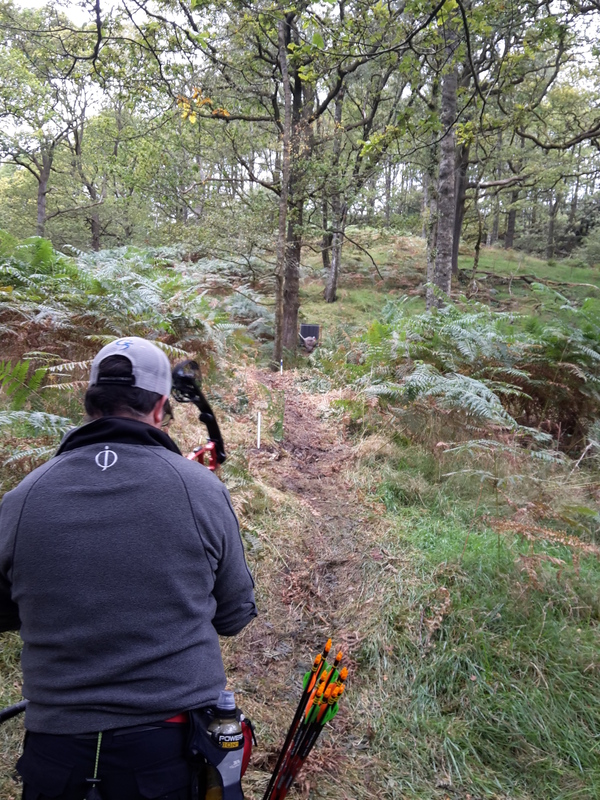 Unlike A course, B didn’t have as many backstops for the 3ds so if you did miss there was a chance of breaking an arrow, as David, one of the compound archers in the group can testify to; when he misjudged a long downhill shot on a 3D ram and the carbon arrow exploded as it hit the tree behind. 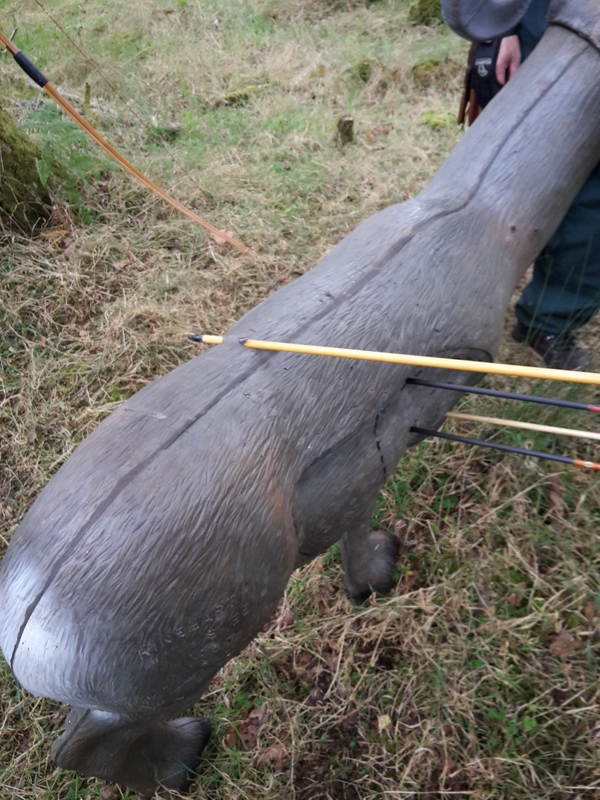 I was very lucky on this target, with my arrow just staying in the top of the animal. 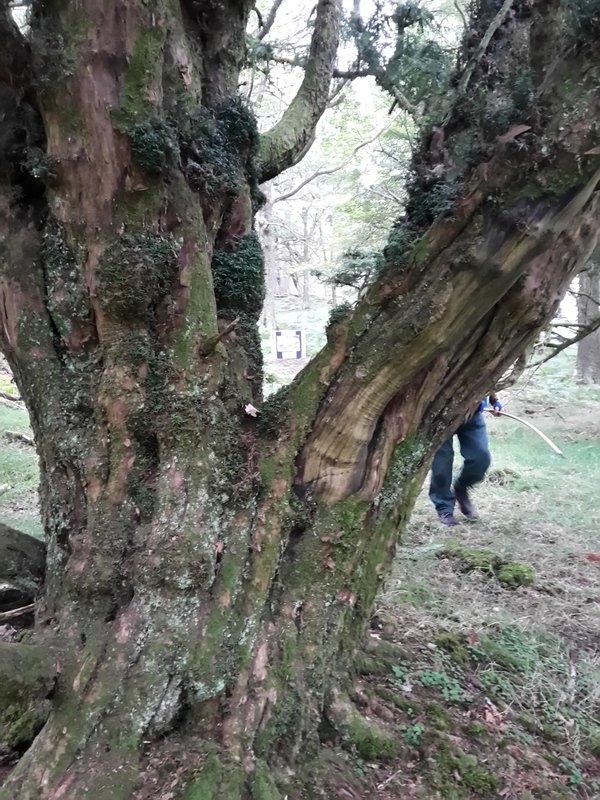 There were a few targets with trees or banks behind that were unforgiving on arrows. The only advantage of all the delays was being able to chat with Jim Pierce from Artemis and also a fellow ex-Black Arrow member who was in the group in front. He did a grand job trying to keep my spirits up, cheers mate. I walked back to the parking area on my own thinking over my shots, feeling pretty low. I need to work on coping with delays and not letting it effect my performance. 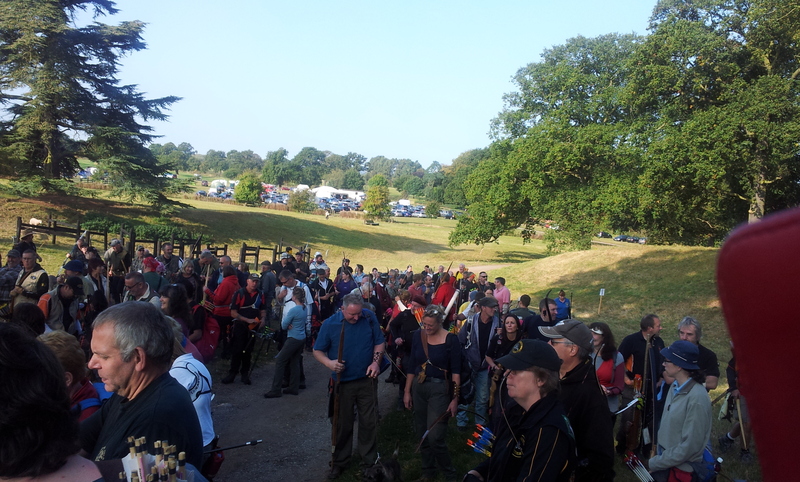 As the award ceremony approached I met up with Sharon and other archers patiently waiting for the results. The first to be called was Gents AFB and the first name was mine. By some miracle I had managed a third place. According to Sharon my face was a picture when it was announced. I was so touched by the number of people that came up afterwards to congratulate me. 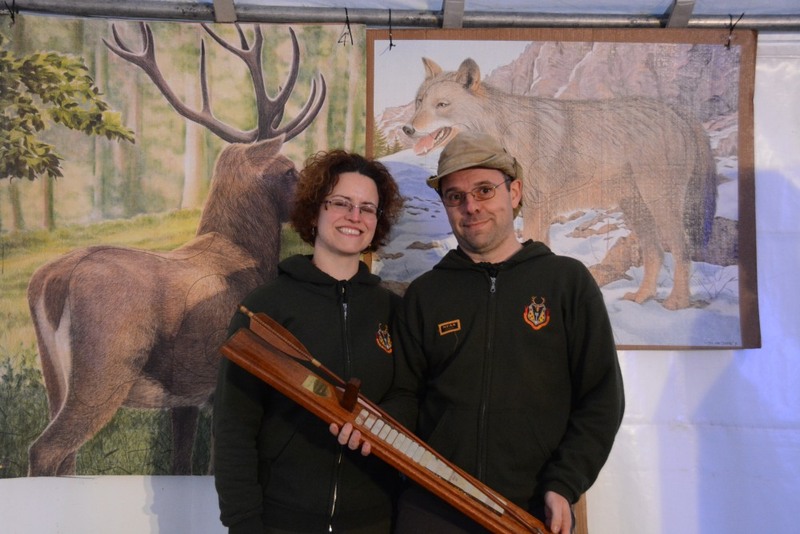 Sharon retained her title as Ladies Hunting Tackle champion. Sharon and I also won the Nearest and Dearest trophy for the second year running. 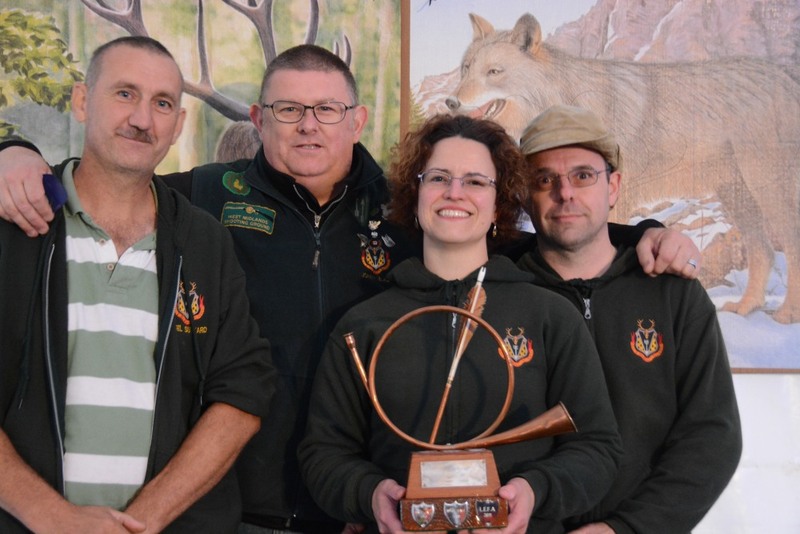 Our fellow SVYF member Robin won Gents Barebow, which helped the club towards winning the Instinctive Team trophy. 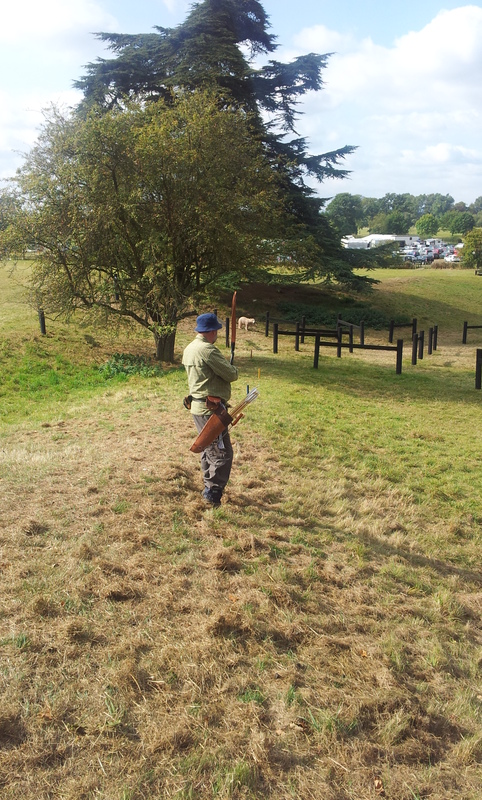 Congrats to Colin who won 3rd in Crossbow too. 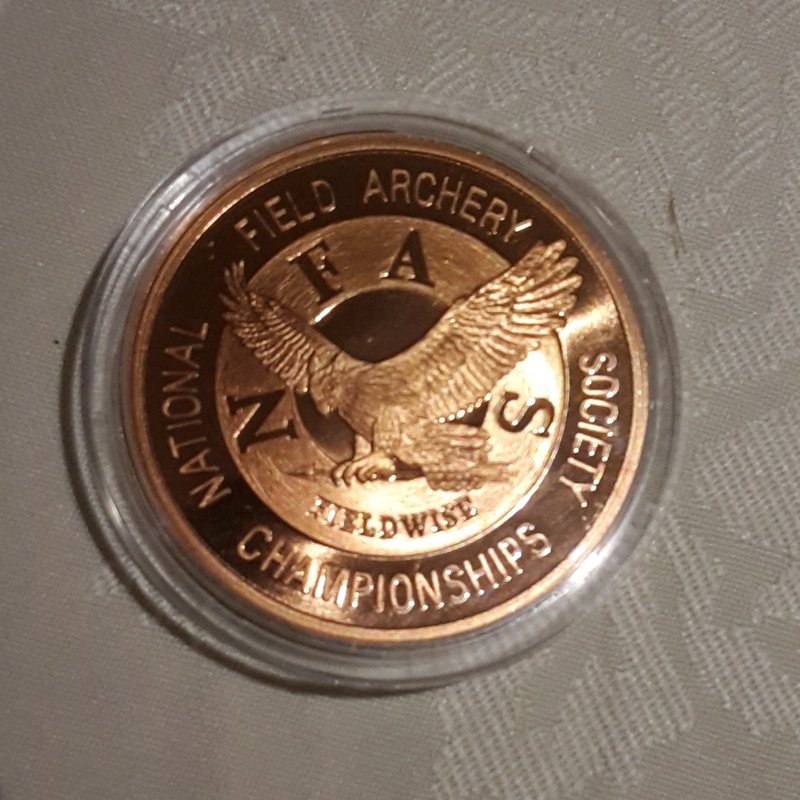 Here is a link to the full results (http://www.nfas.net/downloads/champs/2015%20Sept%20Nationals%20Reults.pdf). well done to all that managed to make it round the courses and congrats to all medal winners on what I think were a very tough couple of courses. Day two of the championships dawned and we wondered whether staying in the premier inn had been a good plan. We had had a very disturbed night having been woken by a fan humming noise which we’d thought was the aircon or heating but neither of these were on and it seemed to come from the corridor. The annoying thing was it would stop only to restart a few minutes later. 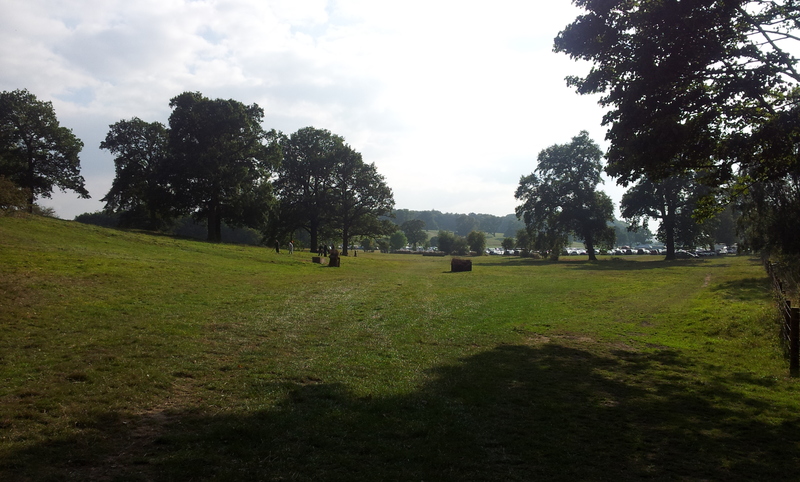 So bleary eyed we checked out and headed to Catton park. I’d taken some Lemsip tablets so I was hoping my head would be a little better. The mid point placings were out showing Sharon in first place and me way down at 19th. 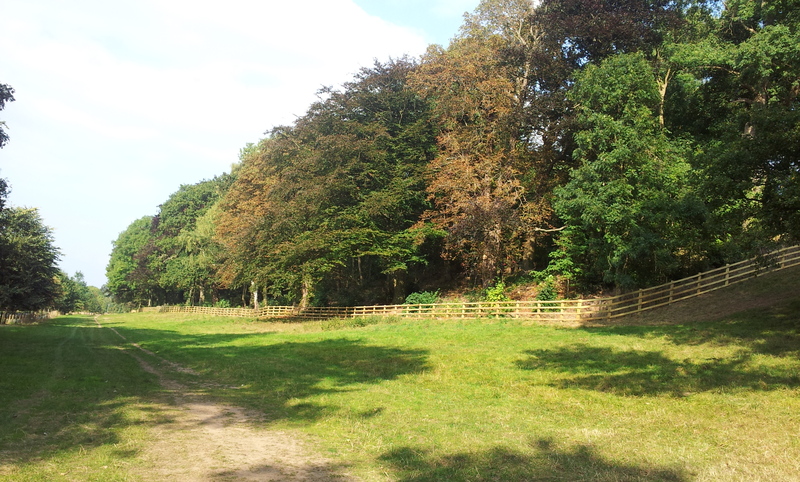 Sunday was brighter day with clear skies and a slight autumnal nip in the air. Shooting group would be different on each day so I wondered what to expect. To say my possible concerns were ill founded would be an understatement as we never stopped laughing all day. Thanks to Julie and others in the group we had a great laugh often at our own expense. 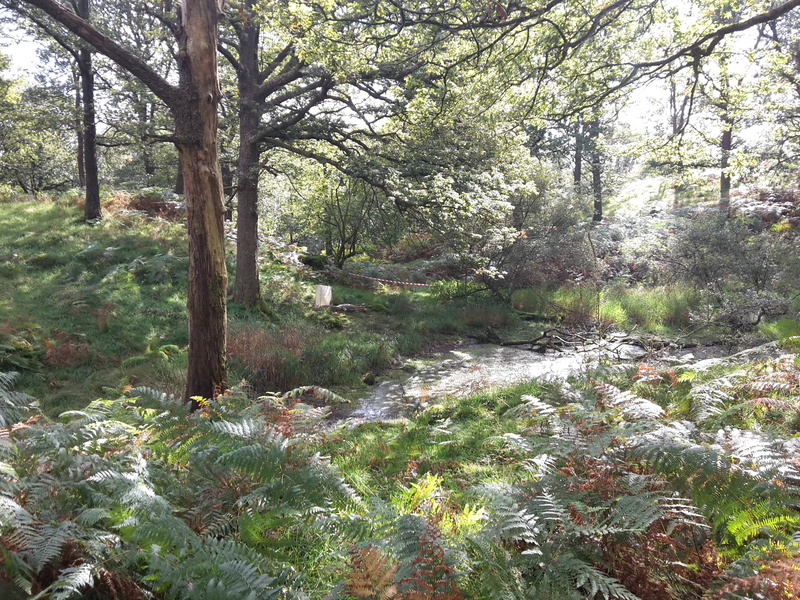 Think B course had the best grounds in my opinion with two separate pieces of woodland and a few open ground shots and a couple over water making for a good mix for all. They also set up some interesting shots down the side of the woods or out of the woods into the fields, making distance judgement challenging. At this point I would like to say a huge thanks to all the people who gave up there time to not only lay the courses but find the ground initially and thanks to the administration staff for all the work behind the scenes. Despite feeling rough I managed to climb 9 places on Sunday from 19 to just get in the top 10. Not too bad I suppose. 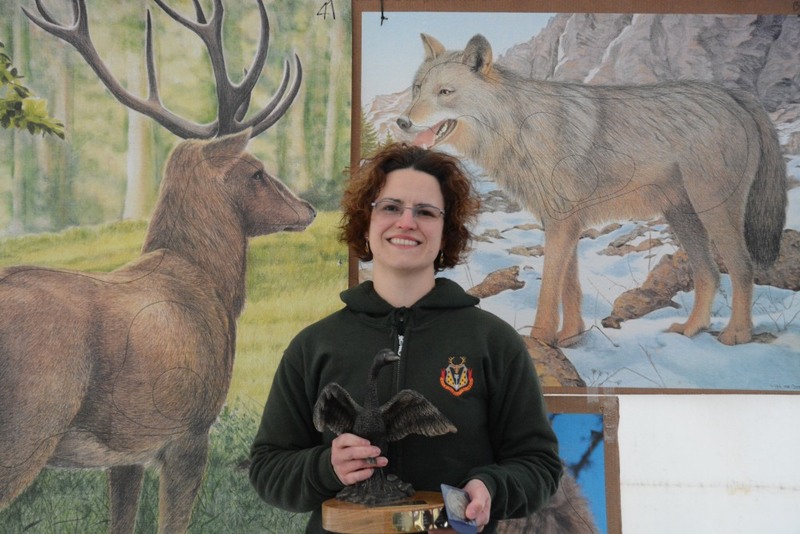 Sharon did wonderfully well winning ladies hunting tackle making her not only 3D champion from earlier this year but now also the national champion for 2014. Svyf came away with the team hunting tackle trophy. With Colin capturing a bronze in crossbow. Sharon and I also came away with the Nearest and Dearest trophy. So not a bad weekend considering I was feeling rough.